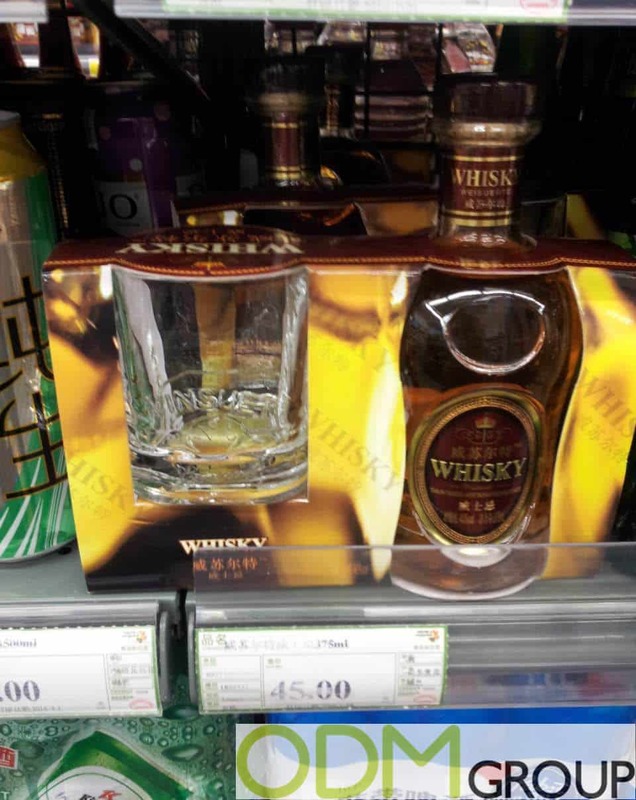 This on pack promotion is packaged to show the promo glass next to the bottle. This glass has also been engraved to show the brands name on the surface, which makes this type of design a great and easy technique for making your brand name look sophisticated and unique on the glass. Why is an on pack promo glass good as a marketing incentive? Point of sale promotion. This glass could be used in bars or at home on display in your drinks cabinet to promote your whiskey brand. When buying a glass of this specific brand of whiskey, customers tend to like their drink served with a matching glass to accompany the drink. Therefore, this promo glass will be on show to more customers, the nicer looking the glass, the more likely the customer will buy this whiskey. Increase the perceived value of the product. This means that customers are more likely to pick a specific product over competitors in the same industry. By offering an on-pack promotion that is used together with the actual product along with a premium packaging, the perceived value is increased even further. Brand awareness. Because of its novelty factor, this promo glass will interest customers to buy, because it offers more than other whiskey brands at that time. With the higher level of interest about a promotional item, the more recognition your brand will receive if you stamp your logo on it. Feel free to contact the ODM Group to learn more promotional products. We have years of experience with sourcing promotional products for companies all over the world.